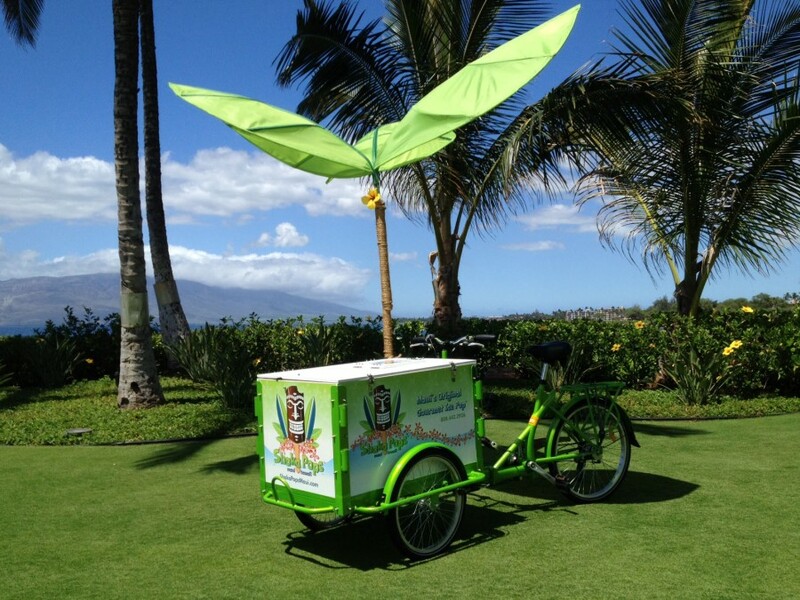 Shaka Pops gives you one more reason to drive to Hana! Sha­ka Pops are now avail­able in Hana. Stop by our mobile tri­cy­cle next to the gas sta­tion for shock­ing­ly deli­cious hand­made pops craft­ed with fresh local ingre­di­ents. Road to Hana got your stom­ach in a twist? Our Pineap­ple Gin­ger pops soothe and refresh with Maui Gold pineap­ples, local gin­ger and just a touch of nat­ur­al cane sug­ar. It’s just one of the many fla­vors like Lava Flow and Pas­sion Orange Gua­va that makes the dri­ve to Hana even sweet­er.